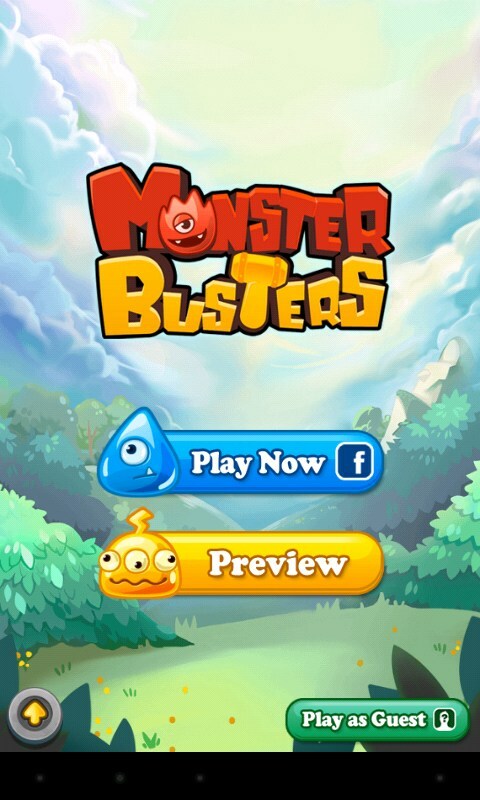 Monster Busters – Games for Android 2018 – Free download. 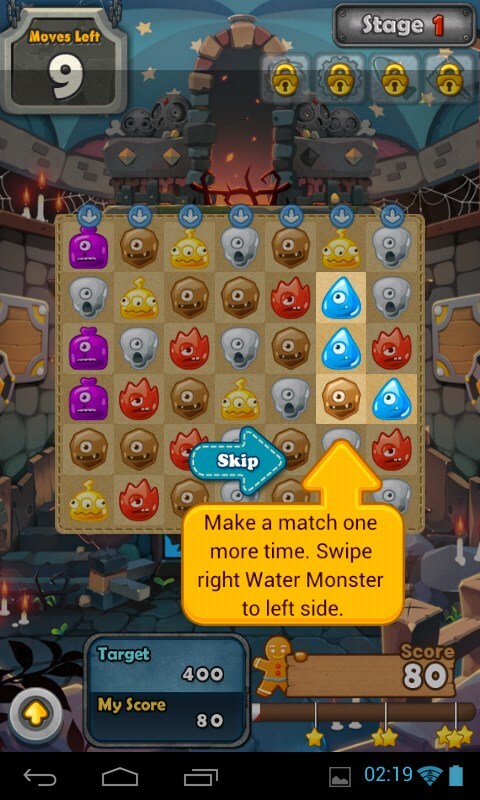 Monster Busters – Addictive match puzzle game. 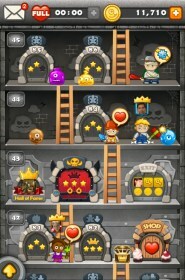 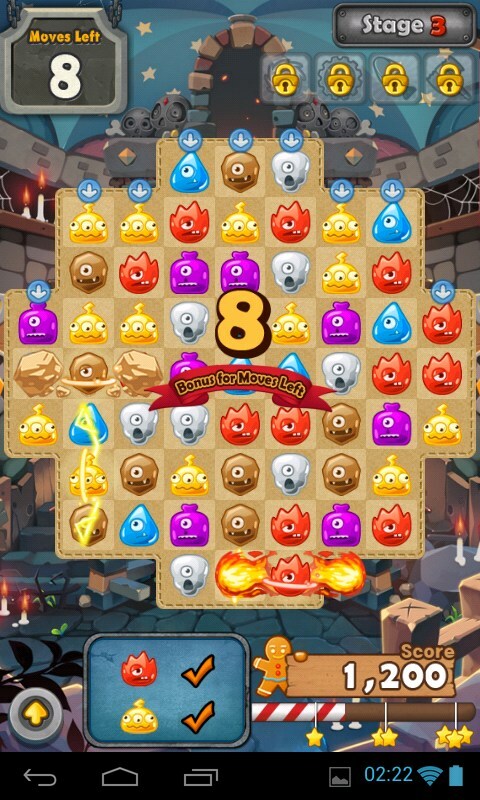 Monster Busters is an awesome and cute match 3 puzzle game for Android. 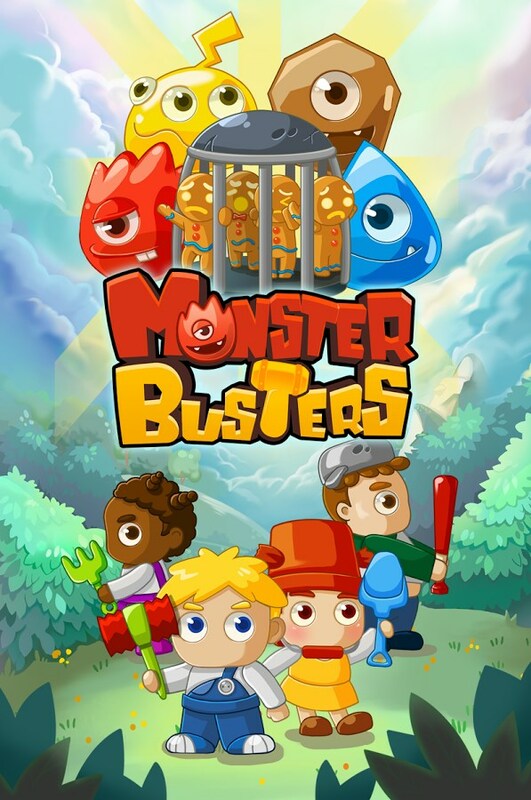 Your character’s objective is to destroy the zombies and by matching at least 3 monster vertically or horizontally to free the gingerbread men that are kept as prisoners by the monster. 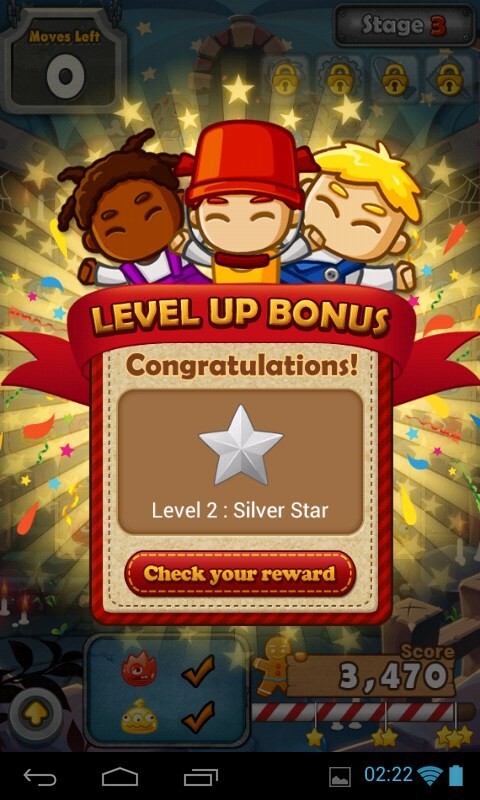 As you move forward the game and pass the levels, your objective will change. 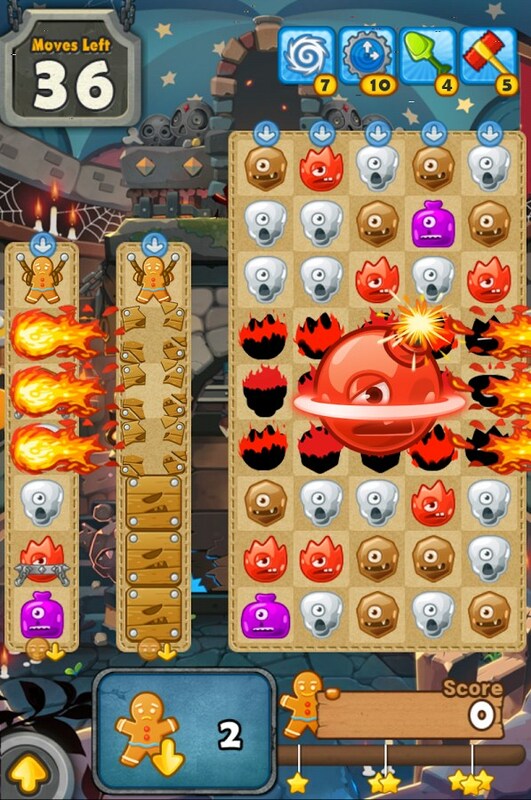 Some levels will require you to simply destroy the zombies within the number of moves that will be given to you and reach the target score to pass the level, other levels will require you to destroy a particular number of monsters in order for you to pass the level, while the others could be the main objective where you need to save the gingerbread men. 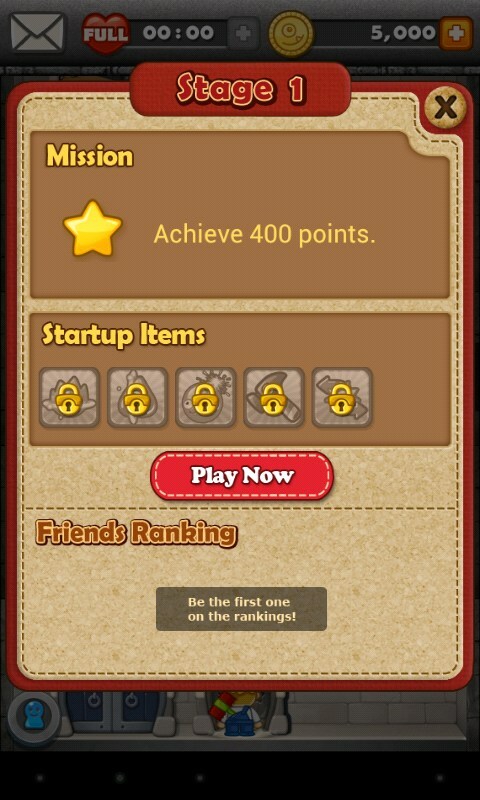 In the game, you will be given hearts. 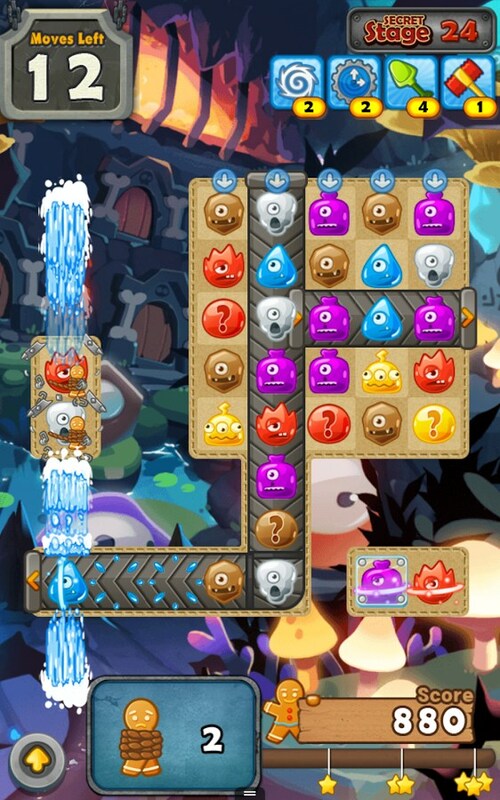 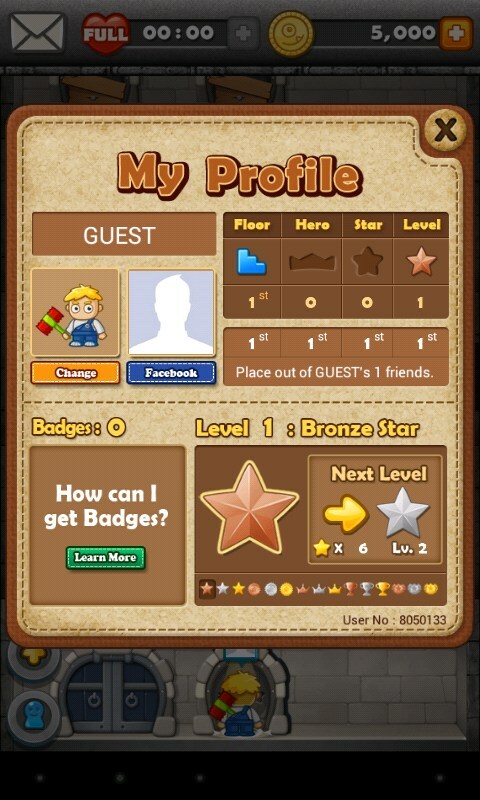 These hearts are your life and they indicate how many times you are allowed to lose a level or quit a level. 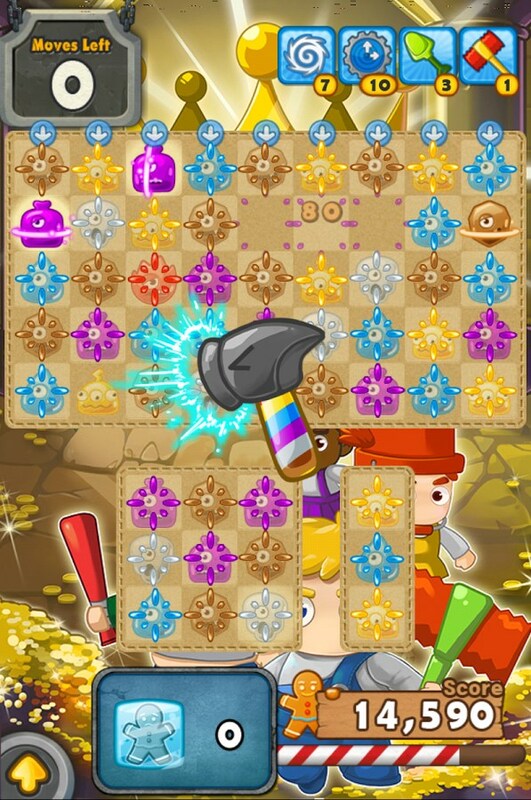 If you have used up all your hearts, you have to wait for a certain time to earn a life but the good thing about this game is it gives you a retrieval chance wherein you choose a square to smash out of 9. 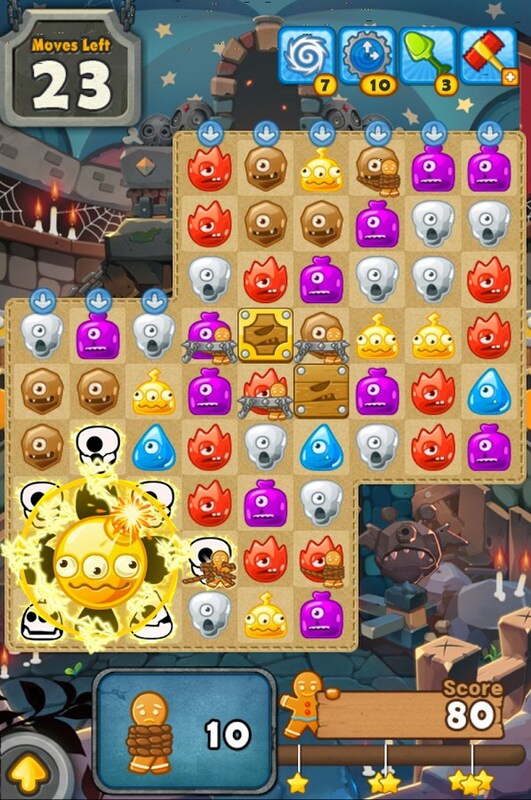 This chance is given to you every time you use up all your hearts. 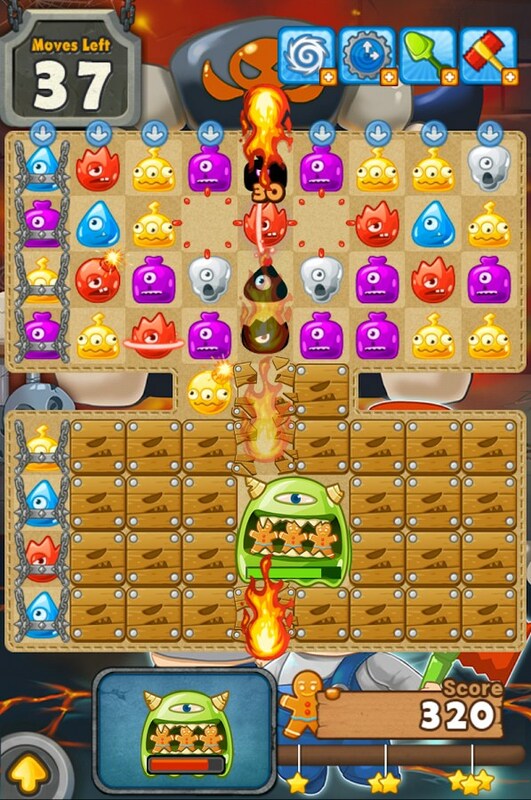 3 of the squares are bomb monsters and the rest contain 1, 2, and 3 hearts. 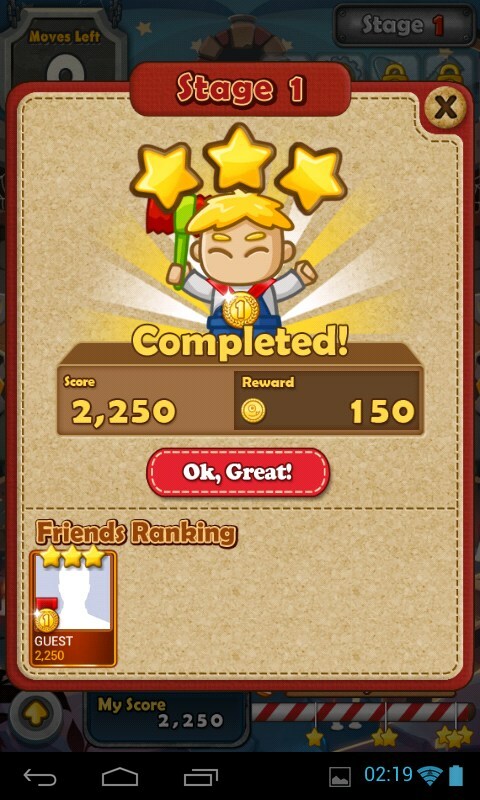 I loved this game the first time I played it when I ran out of hearts and I was given retrieval chance. 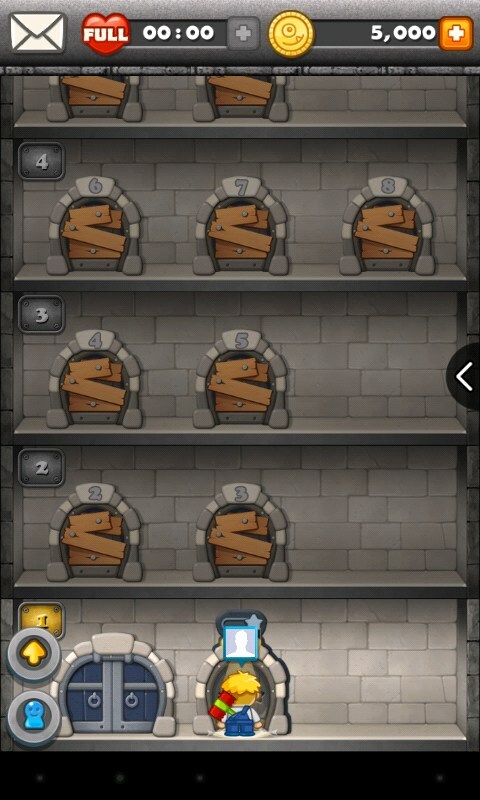 I luckily smashed 3 hearts. 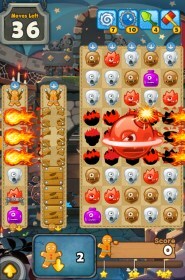 The controls are really simple and similar to other match puzzle games. 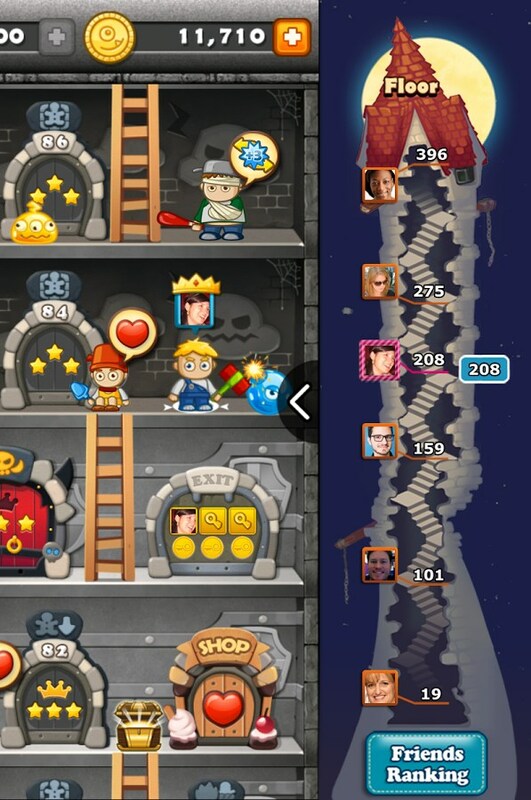 Just like the animation and graphics, the background music is really adorable. 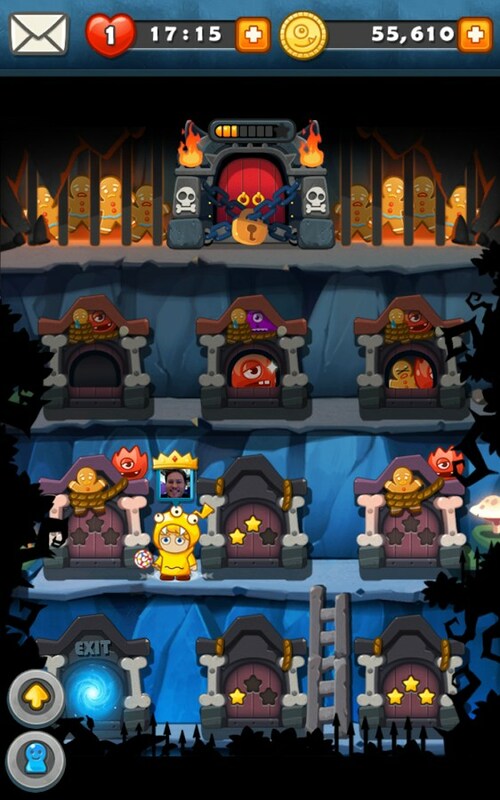 I must admit, the one-eyed monsters are pretty adorable too! 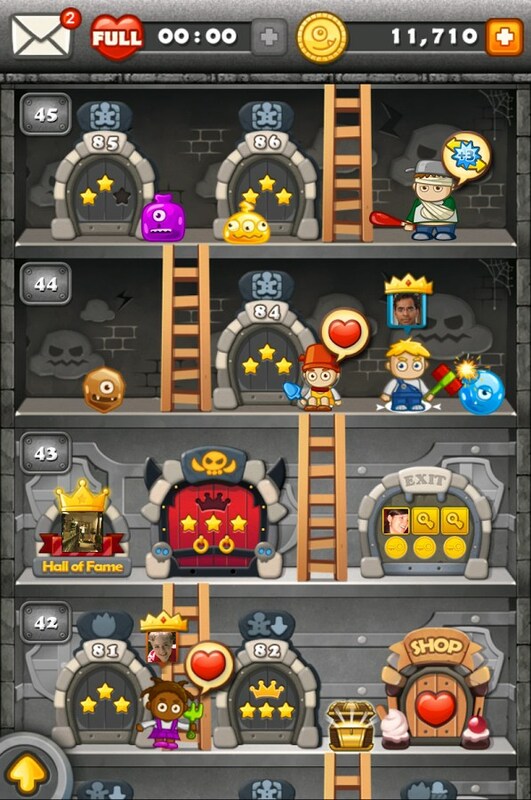 There are many things that you will love about this game. 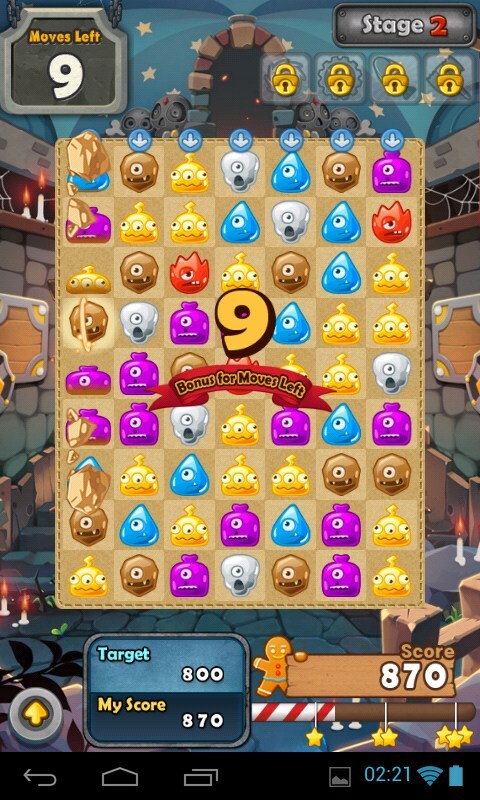 For example is how you will be given chances, how you can change your character and they have different costumes and objects to smash monsters with, and how you can walk around and smash zombies during the level menu. 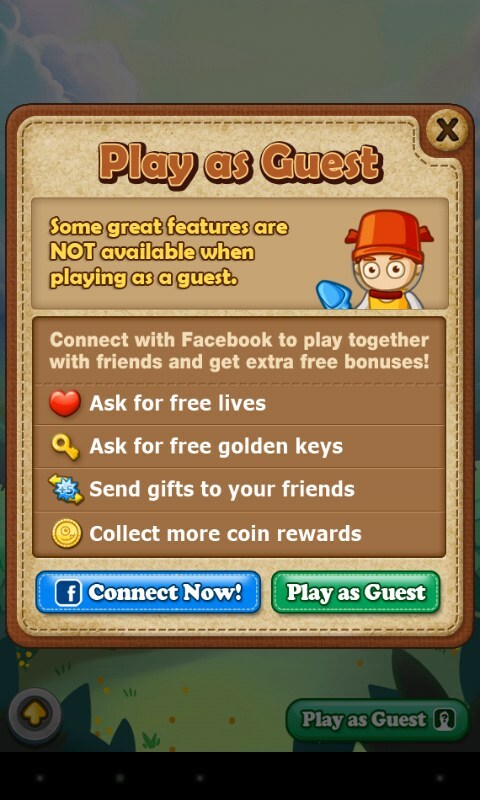 One flaw I found in the game is you can’t play it without wifi or 4g. 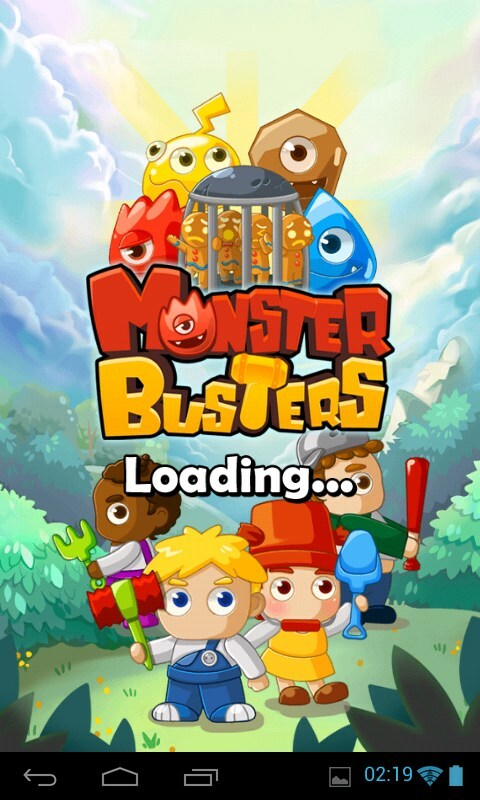 Monster Busters is a really addictive matching puzzle game for Android. Great for all ages and gender! 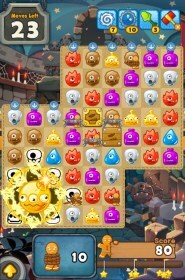 This app is one of the most adorable puzzle game you can find in the market.